A feeling of deja vu overcame us here at interest.co.nz as we looked at the numbers from the auction results we monitored during the week of 18 to 24 March. We monitored 272 residential property auctions during that period, marginally lower than the 279 we monitored the previous week. But the sales ratio was exactly same for both weeks at 38%. In fact it was the third week in a row that the sales ratio has been 38%, and not only that, the sales ratio for the Auckland auctions from 18 to 24 March was within a hair's breadth of the national figure at 37%. So if we'd been inclined to buy a raffle ticket, we'd probably have looked for number 38. Luck or coincidence aside, what the numbers suggest is that auction sales have been reasonably stable overall during what is traditionally the busiest month of the year for residential real estate. There's no doubt, however, that sales people and auctioneers are having to work harder for their money than they were this time last year. However prices still appear to be weaker in Auckland than they are in the rest of the country. Where we were able to match up a property's selling price with its Rating Valuation (RV), 43% nationally were above the RV and 57% were below. While in Auckland, yes you guessed it, it was our lucky number again, with 38% selling for more than their RV while 62% were below. 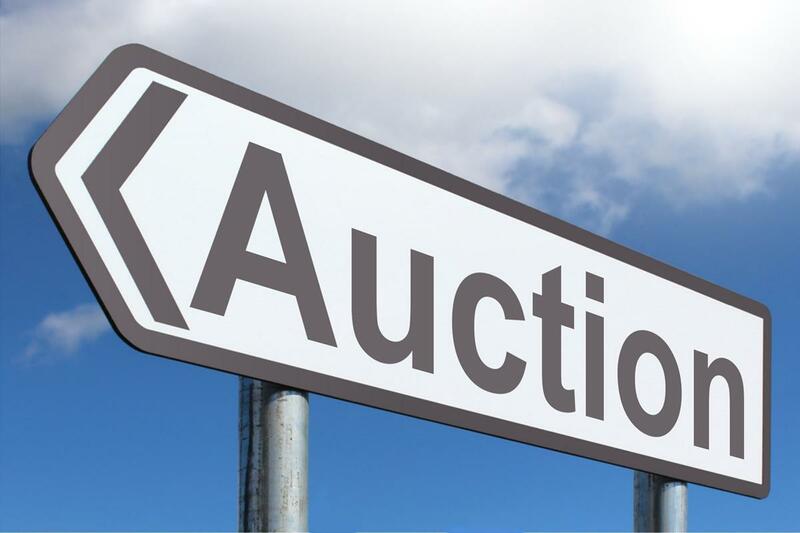 Details of the individual properties offered at the auctions we monitored are available on our Residential Auction Results page. While there is growing uncertainty and equity to be locked in, the more sellers will keep coming. Prices will just keep falling. To those with their eyes wide open, it's a given. Right now, the top escalon is taking a hit, the lower escalon will not escape either. Once again we see a higher percentage of houses selling below RV yet when we check the sales history the previous sale was like ten to twenty years ago or no sales history. One sold below RV yet still increased in value by about $1400 a week, every week, for 14 years! (3A Tuperiri). We are seeing people who are probably thinking the safest thing to do is take a good profit now just in case things go further south. I have noticed that some large sections with old houses beyond the central city are not selling for particularly high prices anymore. I would be a bit concerned if I recently bought a large section as an investment in the outer suburbs. I have never liked the idea of land banking. Property investment should be about building a portfolio of houses that earn positive rent returns in the not too distant future. Sure you could negative gear but the vision is to get it positive at some stage so the business earns money and you can weather a storm with ease. The whole philosophy of THE MAN2 except he starts positive straight away which can be done more easily in Christchurch and other places. It is very annoying that Bayleys remove their adverts so quickly after a sale. Barfoots leave theirs up for years which is very helpful when doing some post sales analysis. You can see if the high or low price was related to the house condition or renovations. Sometimes you can find the really old adverts for houses and compare before and after photos of renovations. Come on Bayleys at least leave them there for a month or two. Still cheers up Zachary, there still appears to be some money launders getting through for the moment. They're kind of easy to spot especially when they pay a couple of million above RV and the market is very much headed south as you point out. And yes you're right housing stock is building up and will reach a tipping point fairly soon. I recon by the end of the year when they'll be a rush of new sellers trying salvage what they can price wise for the spring market. Talking of analysis, have you been looking at www.oneroof.co.nz. I was fascinated to see in the suburbs section the percentage of 'Properties held in Trusts' for both Remuera and Epsom it's almost as high as the owner occupier rate and the medium price is 1.60 million. And yet if you look in say Titirangi, the 'Properties held in Trusts' is much smaller and the owner occupier level is much higher. Even more interesting is the percentage of those with average household incomes above $100k+ is higher in Titirangi then that of Epsom. So its not that difficult to work out where all the money has been coming from. A better than one in three chance of selling in a quiet residential market under the hammer is to be expected. This is a quiet market in Auckland and a good opportunity for determined buyers. Look for under pressure vendors in order to get a bargain. To find a deal have to wait for the auction to fail and also houses that are under negotiation have to wait 4 to 6 weks as intially expectation is near around CV and falls by 10% to 20% after 6 to 8 weeks and if the house goes earlier it must be at a decent price. Also to check the sell history, if the vendor has purcahsed in on or after 2015 will be hard to find a deal as even if the sell at the purchase price will not be a deal in current market. Finally time to rush is over. Steady sums it up. Auctions only account for something like 20% of sales in Auckland. Will have to wait for REINZ dada in a fortnight for the full picture. Indeed, the word "steady" sums it up...... One only has to read to the 7th word of today's headline. Agent TTP, auction activity is steady at an abysmal low, prices are falling. Sydney auction clearance rates 55%, prices are also falling. One only has to read, learn and then post comment. Steady? Steadily poor. I assume when Greg uses the word 'steady' he means steady in terms of not much change, I assume he doesn't mean steady in terms of healthy. Greg could clarify. I think it is a safe assumption that readers will know the meaning of the word steady. Not sure why anyone would sell by auction in Auckland’s flat market. I’d go fixed price. Yup I agree. Currently about 10% below 2017 RV is a good fixed price point. Tomorrow even lower. In Auckland I’d set fixed price $10k - $15k above RV and then settle for RV after sitting tight until right buyer comes along. ....and I would like to stipulate PROFESSIONALLY renovated. The right buyers can wait, pick and commit without any competition now. How is that strategy working out for you? I’m looking to buy more so than I’m looking to sell. Yes that would make more sense. Also the Real Estate Agents are going to have to get more realistic about dropping their commission rates. I've mentioned this before but if it's good enough for London RE's to sell at 1% commission rate (That includes the marketing cost etc..). Then so can the Auckland RE's. Those who are charging 4% commission rates and adding on other costs is just taking the mick in a falling market! During what is perhaps the busiest month of the year for real estate,auction sales could not be lifted.Remaining "steady" at 38%. Well, it looks like this week B&T auctions aren't doing anywhere near as well.. 25% clearance rate so far, might just break into the 30s if all the undeclared results are sales. Does this include the north shore properties? Yep, Thursday morning North shore auctions were one of the worst. The morning session, 11 offered, only 1 (106 Carribean drive) sold (After the auction by the sounds of it, since it was #5 in the line up.). 1/11 = 9.1%.. not even double digits. Afternoon session did a bit better, 5 marked as sold of the 17 that went up, and two more that are still on the auction list and might become sales. Overall 6 sales so far of 28 offered = 21%. Friday Morning City auctions almost as bad.. 15 on the original schedule + one brought forward due to pre-auction offer. 1 withdrawn, 1 postponed, only #1 marked as sold on the B&T auction page, and presumably the one that was brought forward also sold. One other still on the auction page, not marked as sold yet. if that one last property doesn't sell then its 2/14 = 14.2% clearance rate. Another interesting number.. of the places that didn't sell that are back on the market, the ones that have an asking price and could be matched with a CV. The new asking prices average 96.5% of 2017 CV. Range from oneasking 120% of CV to one asking 72% of CV. We can forget the suction results, they have been and will be consistently low, that’s a given. An important number would be the no doubt rising average number of days on the market at the moment. You can even see that with the for sale signs in the streets. It’ll be High in Sydney now, and I read it’s about 120 days in Manhattan (NYC) at the moment. What is it in Auckland now? 57. This is the highest number of days to sell since 2001 (even higher than during the GFC in 2008/2009 which peaked at 56). The highest on record since 1992 is 66 which was in Jan 2001. Will be very interesting to see the days to sell data for March. Looking at the graph for Auckland, days to sell has gone up 54% in 4 months to Feb 19. The magnitude looks very similar to the spikes we had around the GFC, in particular the second spike in Dec 08 - Feb 09. Peaked at 57 in Feb 09, then dropped to 39 in March likely off the back of sizable drops to the OCR (8.25% in June 08 down to 5% in December 08 and 3.5% in January 09). According to CoreLogic, sales by auction have reduced dramatically, form a peak of 74% when the market was "hot" to only 14% today. It makes sense, why sell trough auction when there are few buyers to outbid each other. More Corelogic drivel being spouted. If I limit it to Houses, Townhouses and Units the numbers change quite a bit. Auction is still the most popular way to kick off the selling process (and for agents to extract the first lot of fees). 38% and a 35% success rate matches pretty well (0.38 x 0.35 = 13.3%) with 14% of sales being by auction.
. This guy is slick. https://www.youtube.com/watch?v=n1dWj4JK4ZA&feature=youtu.be&t=54. Does anyone see a problem.Weekend math. Someone has shifted the goalposts, in 2015 the "Listing Method" scale was from 0 - 115% but 2019 is 0 - 100%. I suspect that the 2014 figures are listed by, and the 2019 figures are sold by. 2014 figures adding up to more than 100% because if it failed to sell at auction it then gets listed by negotiation or with a price, so gets doubled counted. Back in 2014 auction clearance rates were up in the 70 or 80% range weren't they? Barfoot Shore Auctions last Thursday. 4 sold out of 17. 5 marked as sold, a couple more still in the maybe column.